More than 200 people from all over North America, Canada and Japan attended the Conservancy’s conference in Madison, Oct. 10-14, for educational presentations, tours of more than 20 buildings, special events and more. 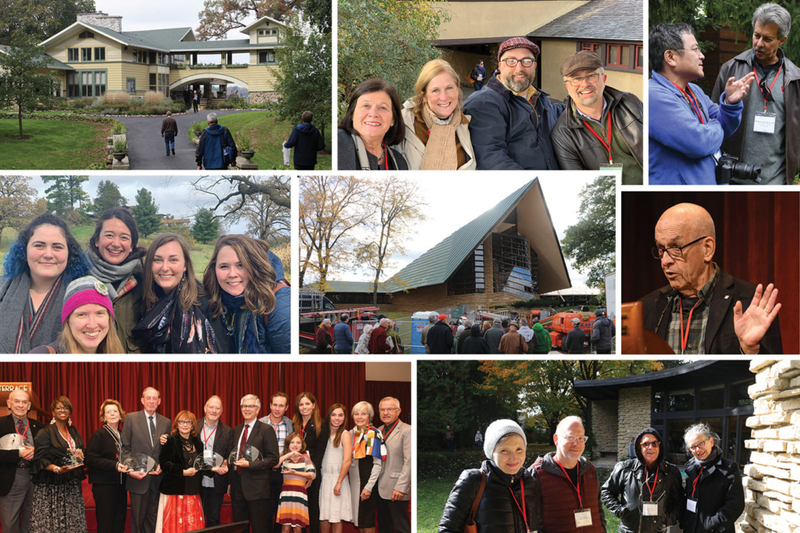 Among many highlights were a tour of both the Jacobs I and Jacobs II houses following an impassioned presentation on the restoration of Jacobs I by owner and 2018 Wright Spirit Award honoree James Dennis, and a full afternoon to freely roam the grounds and buildings of Taliesin followed by Benefit dinner in the house at sunset and an evening concert in the theater. Five Wright Spirit Award honorees were celebrated for their achievements in preserving Wright’s legacy at a gala dinner at Monona Terrace. Thank you to all who attended! Photos from the conference and past Conservancy events may be viewed on our Flickr page. Join us next year when the annual conference will be held in Los Angeles, Oct. 2-6, 2019.